(nee Kochis) of Elm Grove, Wisconsin, was born July 7, 1937, in Hammond, Indiana to Stephen Kochis and Florence (LaNoue) Kochis and died on August 26, 2018 after a brave battle with cancer. She was preceded in death by her husband, Martin G. Drinka, former Marquette University Engineering school professor and Brigadier General, United States Army Reserve. She is survived by her two sisters, Jan (Bernie) Rosner and Christine (Randy) Wills and 2 brothers, Tom (Peggy) Kochis and Tim (Penelope Wong) Kochis, along with many nieces, nephews, grandnieces and grandnephews. Judy’s family is extremely grateful for the love and support Maria Wadina and Jennifer Szews have shown to Judy, especially in her final months. 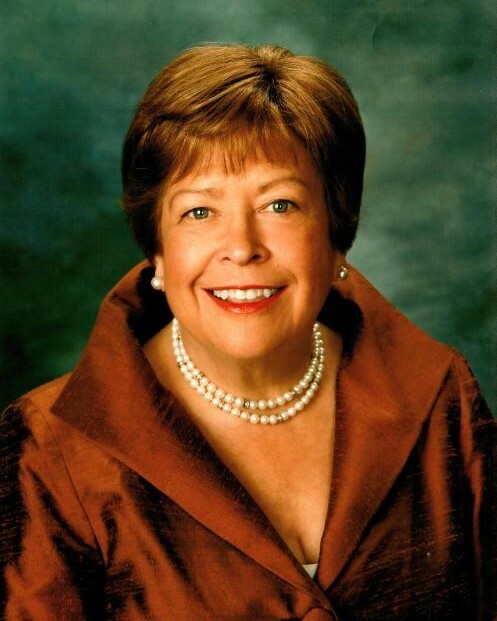 Judy is an alumna of Alverno College (1961) and the Marquette University Law School (1975). She was a pioneer in women’s role in professional accomplishment and maintained a successful legal practice in estate planning, tax, family, and real estate law until very near the end of her life. Judy was a long-standing philanthropist, volunteer, and leader in support of The United Way, YMCA, United Performing Arts, Metropolitan Milwaukee Civic Alliance, Family Service of Milwaukee Foundation, the Florentine Opera, Alverno College (Alumna of the Year in 1987), and Marquette’s Law School (Alumna of the Year in 2004. Her community leadership was heavily focused on the empowerment of women and girls, in support of the National Forum for Women, Women’s Initiative Corporation, Women’s Fund of Milwaukee Foundation, Women’s Initiative for St. Luke’s, the Milwaukee Area Girl Scouts, the Founding Mothers/Women’s Fund of Greater Milwaukee, and ProfessionalDimensions…Women Who Inspire which conferred its Sacagawea Award to Judy in 1994. Judy will be remembered by her countless friends and colleagues for her deep intelligence, wit, and sense of humor. Those who were privileged to know her well also celebrate her appreciation of gourmet cooking, her pursuit of excellence on the golf links, and her love of Marquette basketball. Visitation will be held at the Church of the Gesu, Milwaukee (1145 Wisconsin Ave) on Wednesday, September 5, 2018, from 9:00AM until the Mass of Christian Burial at 11:00AM. A reception will immediately follow the Mass at the Wisconsin Club (900 W Wisconsin Avenue). In lieu of flowers, memorials in Judy’s memory may be given to ProfessionalDimensions Charitable Fund, Alverno College, Marquette University Law School, or to a charity of your choice.